Breakfast Bend – one of the best reefs in the Similan Islands, with lots of vibrant colours and fish. 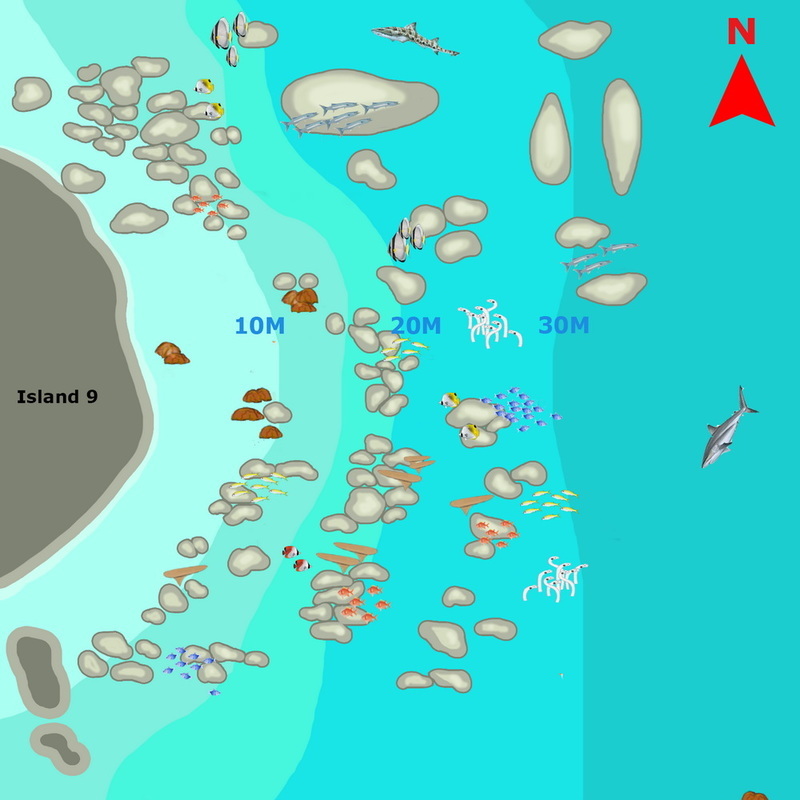 Situated east of Island 9 (Koh Ba Ngu) is a long and healthy reef following the shape of the island in a gentle bend from north to south. 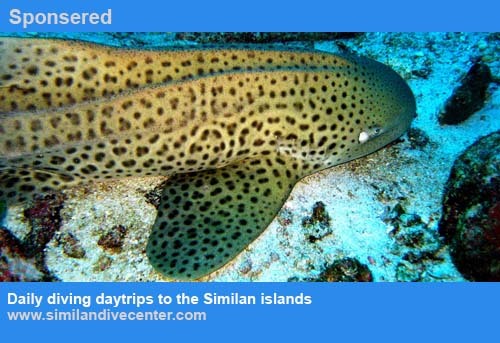 It is often the first dive of a trip by Similan liveaboard tour groups from Phuket and Khao Lak. The morning sun penetrates the water’s surface and lightens up the reef to brighter colours in clear water. So it got its name from the time of day when it is best to dive and from its shape. Typical of the Eastern side of the Similans, there are gentle slopes from 5-10 meters to a sand bottom at 25-30 meters with an average dive depth at 12 meters. The site is so rich in interesting species and different kinds of hard coral interspersed with sandy patches and sea whips in the north, to make it an enjoyable and safe Similans liveaboard dive. 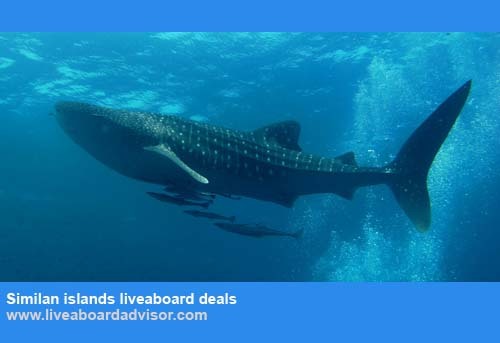 Its easy depth and gentle currents added up to its diverse marine life makes Breakfast Bend a one hour easy-going reef dive suitable for all divers and even snorkelers. So this is definitively the ideal spot to take photographs and video. As eastern currents split in the middle of the site, you can either start north or south for an excellent drift dive. At the bottom, frequent visitors are leopard sharks, and blue-spotted stingrays both of which spend most of their days resting on the sand, as well as different kind of goby. Triggerfish, Napoleon wrasse and potato groupers are easy to spot. Breakfast Bend also is home to schools of Bluefin trevally, soldierfish, ghost pipefish and octopuses. Patient divers will discover groups of spotted garden eel in holes on the sandy seabed. They will disappear in their holes when you approach but if you hang around on the sand they slowly come out again to eat plankton from the passing current. Divers should also keep an eye out for two other types of sharks at Breakfast Bend, although they are both quite shy. Whitetip Reef Sharks tend to rest in the day, facing any current, and blacktip Reef Sharks swim around but often disappear upon seeing divers. Batfish and yellowtail barracuda are often seen on the northern side. In the shallows, divers have often seen here green and hawksbill sea turtles. Although turtles look nice to touch of swim next to, do know that turtles need to breathe air from the surface. When they feel threatened by divers they will automatically dive deeper to escape, which is not really good for them. Needless to say that feeding may change natural behaviour and their ability to be self-sufficient. Their digestive systems can be disturbed since their natural diet consists only of jellyfish and soft corals. When they become accustomed to being fed by humans they could in the future approach boats or people which could harm or kill them. Keep to the golden rule: feeding, hassling or touching any creature in the sea is simply forbidden. As you head into the safety stop there are plenty of fish to keep you entertained. Breakfast Bend is included on the itinerary of many of our Similan Daytrips and liveaboards.